400+ artists will be featured in the "Making History" exhibition this Sunday at Storefront Ten Eyck, reminding us that Bushwick Open Studios (BOS) 2015 is soon on its way. Before this Sunday's epic event, warm up with six new exhibitions on Friday and Saturday night. 400 artists are about to make history, beginning this Sunday with an opening reception of "Making History" inside the gallery and project space of Storefront Ten Eyck. Presented by Arts in Bushwick, this massive exhibition also reminds us that Bushwick Open Studios (BOS) 2015 is right around the corner! Curated by Krista Saunders Senna of Ground Floor Gallery and Dexter Wimberly of Independent Curators International, these 400 artists are coming together to celebrate art in Bushwick. The artwork submitted will be raffled off on May 10th and proceeds will go towards the making of the BOS 10th anniversary book. Sardine presents “May We All Get What We Want,” a solo exhibition from Justin Q. Martin, that is full of child-like charm and wonder. Martin uses a mix of sewn fabrics and collage on paper to create characters that seem to embody human qualities...we'll leave it to you to decide! 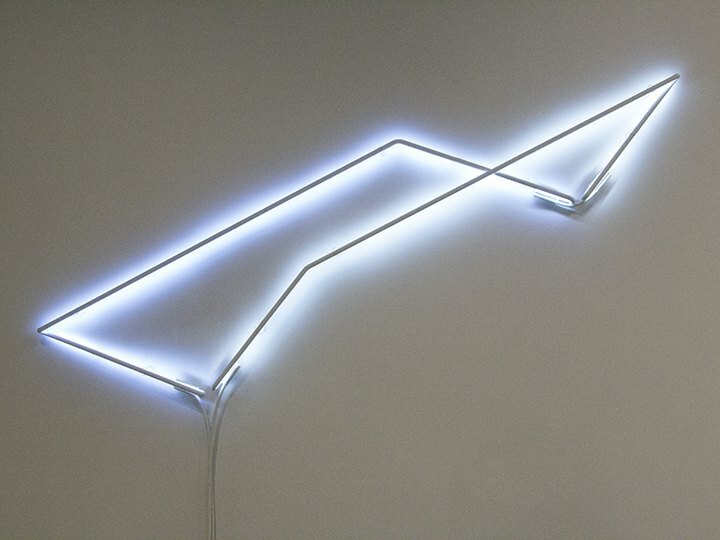 Theodore:Art hosts a tri-exhibit "Iterations" featuring artists Lisa Beck, Michael Scott, and Jay Shinn. This optical centric show will have you trippin' whether your flyin' above or below the influence, it will surely shake those last bits of mental winter haze. Lorimoto has a full house this month with "Animals & Imaginations," featuring artists Graham Parker Ansell, Fumi Mini Nakamura, Shinji Murakami, and Emmy Mikelson. 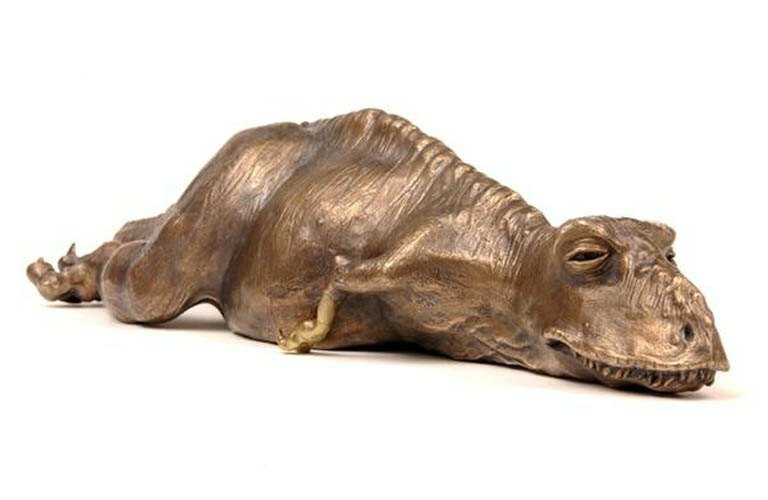 From cast metal dinosaurs in unexpected positions to 8-bit creatures this show will tickle every corner of your imagination. Air Circulation embraces Spring with a timely collection titled "Buccaneer, Masquerade, Suspense; Abundance, Thorn, Champion” by artist Brice Brown. 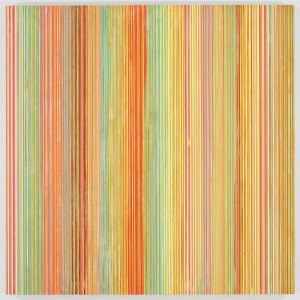 In this solo show Brown combines images from The Batsford Colouor Book of Roses (1962) and an early 20th century fruit seed catalogue to form a layered array of creations. 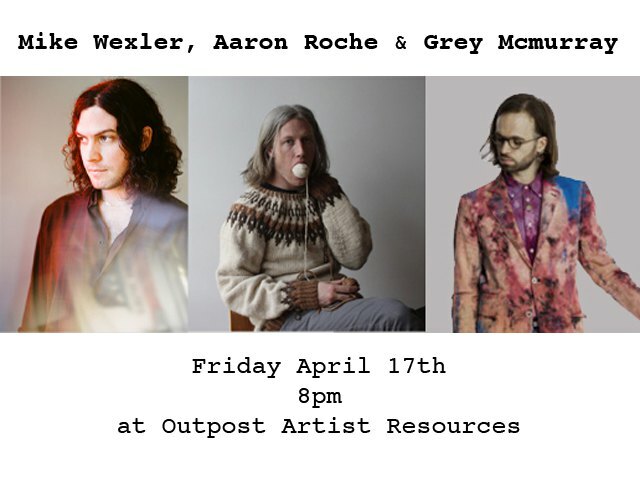 Music and art marry this Friday at Outpost in "Fire Over Heaven" with performances by Mike Wexler, Aaron Roche, and Grey McMurry. 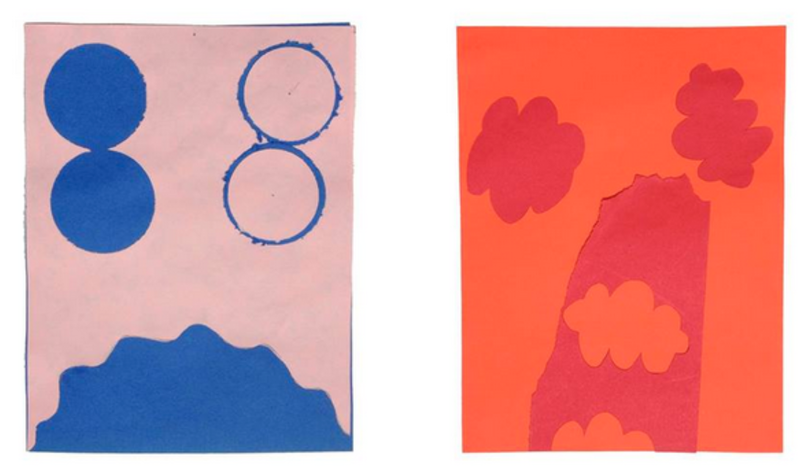 A monthly series curated by Greg Fox, "Fire Over Heaven," presents the best of both worlds for a weekend delight. Present Company presents "King Arthur Rock Banquet" a.k.a "KARB," a retrospective exhibition by artists and former bandmates Andrea Merkx and Nathan Gwynne. One part exhibit, one part set design and total originality.